Sunny is a boy that takes nearly a century not to be born, but periodically visits his grandparents, mother and sister not exactly as an apparition but something closely approximating it, and engages three generations of the Khargat family – from Surat to Bombay to Nowgong to London to Halifax to Toronto and then back to Delhi and Bombay. 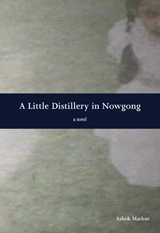 I took a while to read Ashok Mathur’s A Little Distillery in Nowgong, (Arsenal) reading only a few pages every day because to read it quickly would have meant to lose the innate beauty of the author’s languorous style of storytelling. The novel is about Jamshed, his daughter Piroja and granddaughter Sunila and their encounters with Sunny, Jamshed’s grandchild. 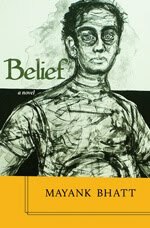 It’s a story of a man who succeeds in convincing (browbeating) a woman to marry him by threatening to commit suicide. It’s a story of two infants dying – one in a long-distance train, with the parents sitting inside the compartment for hours with the child’s body. Their girl child survives, and grows up headstrong, confident, and wise. It’s a story of a mixed marriage in Delhi that remains a secret for an inordinately long time, and when the girl tells her parents about her marriage, it’s already quite late, and her dead mother visits her two years after she’s dead and encourages her to murder her husband; she almost does. And, finally, it’s a story of a child who grows up androgynously and flowers into an astounding singer. The chronological narrative follows their lives, enumerates their joys and minutiae their despair, the awkwardness of adolescence and the pangs of youth, the sudden discovery of one’s identity and the realisation that one merely needs to exercise freewill to shape one’s destiny. even the minor characters in the story such as Jamshed’s friend Nouroz; the manservant in Nowgong, Abdul; the London policeman Wei Devlin are built with caring detail. This is a remarkable novel. There are stories we tell to comfort each other, stories to instruct, stories to remember, and then there are stories we tell to create the next steps in front of us, to develop the bas-relief of our histories, to create. In this particular instance, this mother not-yet-mine is left with the choice to tell father-sometime-to-be the most outrageous or outlandish of stories, visitations by the now-dead and the not-yet-born, or to create different figments that might be less truthful and yet that much more real, considering what Pradeep and other are bound to believe.